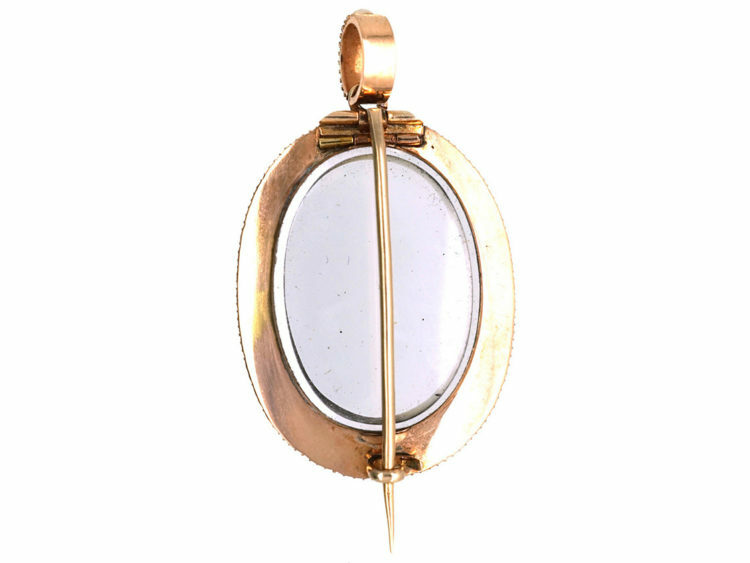 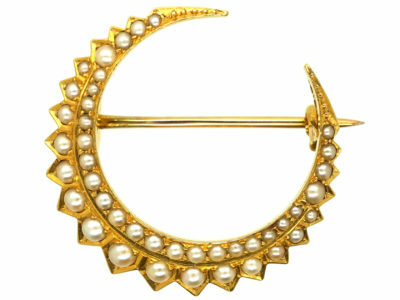 A stunning gold Georgian locket brooch that can also be worn as a pendant. 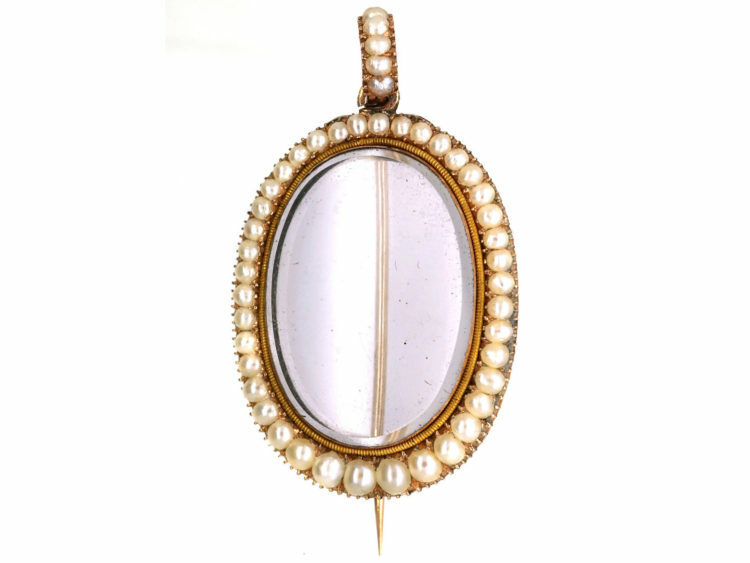 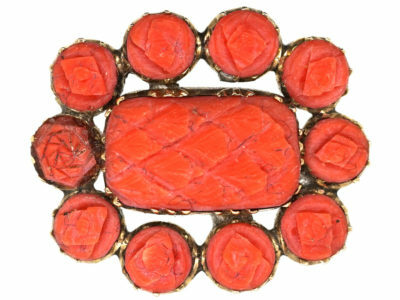 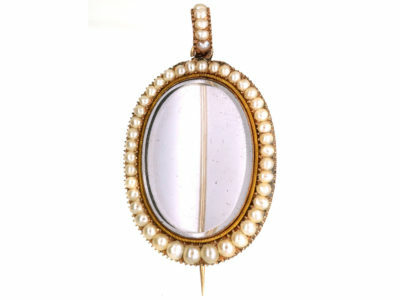 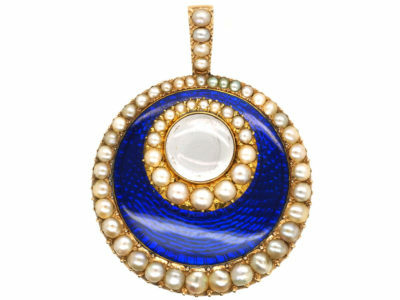 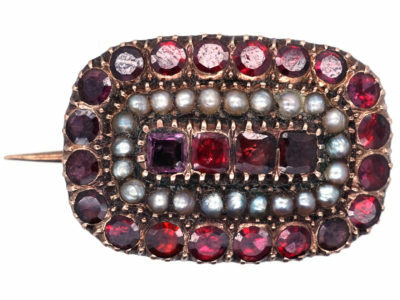 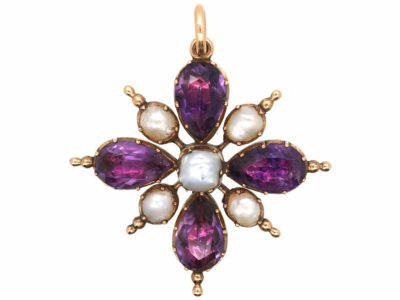 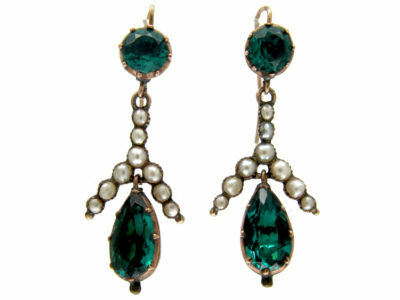 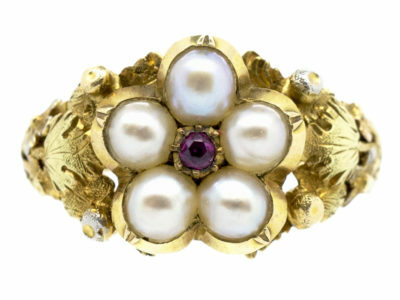 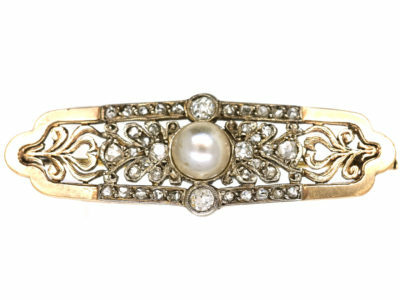 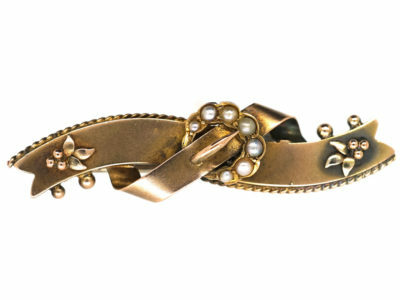 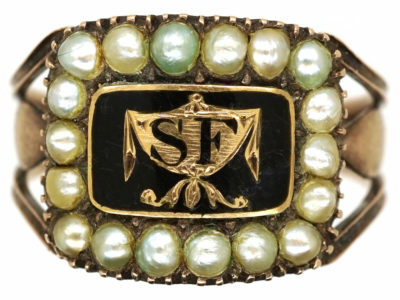 It was made circa 1820 and is set with graded natural split pearls that are in amazing condition for their age. 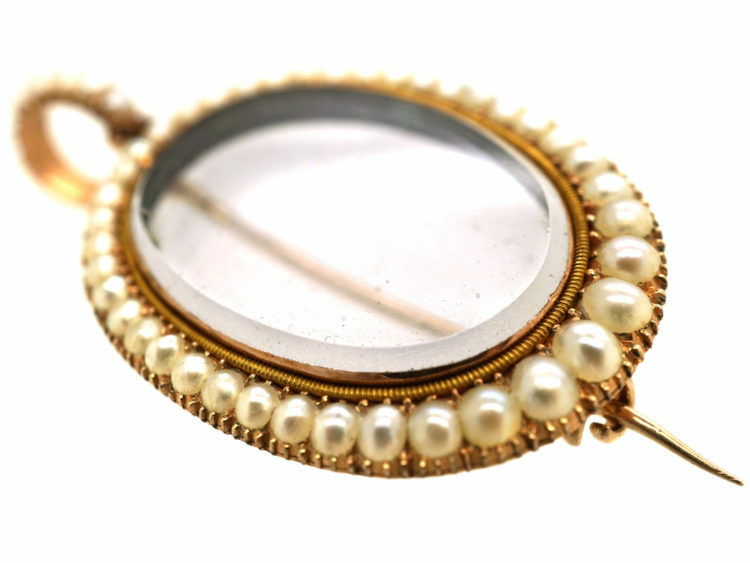 So often pearls can become discoloured and look awful. 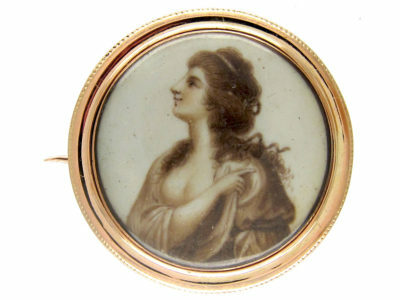 It hinges open at the back and was probably originally intended to hold a miniature or a lock of hair. 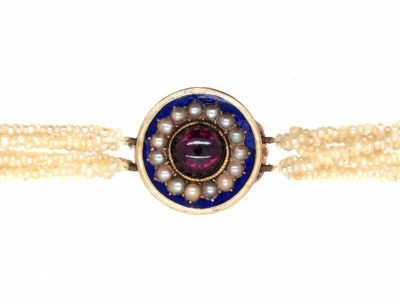 The loop at the top is also set with pearls.